Luxembourg-based KLEOS Space today announces the closing of a 1.4M Euro seed funding round and its intention to IPO the business on the Australian Stock Exchange (ASX) in July 2018 to raise a further 7M Euro. 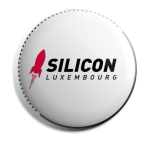 During a press conference held at the premises of KLEOS Space at Technoport in Belval, Deputy Prime Minister, Minister of the Economy, Etienne Schneider, supported the fact that the first and only Luxembourg-based company to be listed on the ASX so far started up business in the Grand Duchy within the SpaceResources.lu initiative – an initiative that attracted nine companies to Luxembourg already! The seed funding and the strategic decision to IPO will raise the capital required to rapidly accelerate the company’s satellite procurement, geolocation data sales and growth objectives, creating more that fifty jobs and significant inward investment in Luxembourg in the near term. “The listing on the Australian Stock Exchange has been enabled by the significant support we have received from the Luxembourg Government and the local expertise ecosystem. This support allows us to remain a Luxembourg-based company. We are excited to be cooperating with other Luxembourg space companies, new and old, within the SpaceResources.lu initiative to further develop our offer. We anticipate that significant space segment contracts will be placed within the growing Luxembourg Space community”, detailed Andy Bowyer, Director of KLEOS Space. Andy Bowyer, Co-founder and Director of Magna Parva and KLEOS Space, detailed the ambitions of the startup. As mentioned, KLEOS Space will remain a Luxembourg-based company with its main operations located and further developed in the Grand Duchy in cooperation with companies’ expertise of the local and rapidly expanding space economy and benefitting from other leading experts on the local market. 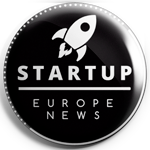 “The successful closing of the seed round and the planned IPO confirm that both KLEOS as a company in a future-oriented sector and the Grand Duchy, as a location for developing highly advanced space technologies, are attractive for foreign investors. The listing of a Luxembourg-based NewSpace company on the Australian Stock Exchange underlines the international character of the SpaceResources.lu initiative and reinforce the positioning of Luxembourg as a European hub for the exploration and use of space resources,” said, Etienne Schneider, Deputy Prime Minister, Minister of the Economy. Etienne Schneider, Deputy Prime Minister and Ministry of the Economy, listened to Andy Bowyer’s vision. The announcement of the planned listing takes place only six months after the signature of a MoU with the Luxembourg Ministry of Economy which marked the start of Luxembourg Government’s support to the research and development phase of KLEOS Space and to provide further support to the company through Luxembourg research institutes such as LIST and othe Luxembourg-based companies such as EmTroniX. KLEOS Space is leveraging highly disruptive proprietary In-Space Manufacturing technology that enables the deployment of very large structures in space, the first and key application for the technology is the Geolocation Intelligence satellite constellation. In 2019, KLEOS Space will launch a revenue generating remonte sensing/geolocation pathfinder satellite system followed by an increasing constellation of satellites that will further grow the company and the value to the customer. The date the KLEOS satellites gather of geolocated radio transmissions will be sold for search and rescue, maritime security and regulatory intelligence purposes by users for whom quality geospatial intelligence and signals intelligence is essential. Etienne Schneider (Deputy Prime Minister, Ministry of Economy) visited KLEOS Space’s office at Technoport and met KLEOS’s team.